1. Generation Lars Larsen Arnegårdeie and Ragne Olsdatter Espeset. The Larsen family I have registrated down into the 1600 cenury. Lars was born on a place called Mulleplass. This small farm was located about 3 kilometer north of Nesbyen. The property was coming from the bigger farm Arnegård in Nes. The farm name has been named as Arnegårdeie - Mulleplass and Bakken. Today there is no such place anymore. There is only a place called Bakken where a power company has built houses for their employe in the 1970's. The place Mulleplass is no longer excisting after Margit died in the 1920's. When Lars was born - the father was Lars Larsen and the mother was Ragne Olsdatter Espeset. The godfather/-mother was: Birgit Nilsdatter, Olaug Olsdatter, Even Rolfshus, Ole Olsen and Jørgen Olsen. Lars was the only child born to these parents. 2. Generation Lars Larsen Arnegårdeie - Mulleplass and Barbro Hansdatter Viken. Lars and Barbro went to Norderhov parish and stayed there as farm workers. They obviously knew each other and spend a lot of time together while their stay in Norderhov. So on 28th of December 1827 they was married in the main Norderhov church just before the first child was born on Sandsæter farm. Baptize in the same church 9th of March 1828. Then on the 13th of April they registered in the church book leaving for home to Nes parish. They did live a short time on Husemoen farm before they went back to the Bakken farm to be together with his mother and father. Lars and Barbro is the mother and father of Hans left for America and the grandfather/grandmother to Lars, Knud, Thorvald and Hans also left for America. Ragne Larsdatter Mulleplass was born 15th of January 1828 on the farm Sandsæter in Norderhov parish - Ringerike. Ragne later married to Ole Knudsen Nybråten and settled on the Nybråten farm in Rukkedalen - Nes parish. Hans Larsen Mulleplass was born on 30th of October 1829 on a small farm called Husemoen just after his parents came back from Ringerike area. Hans later married to Ingeborg Christoffersdatter Veslegaard from Tunhovd area in Numedal. 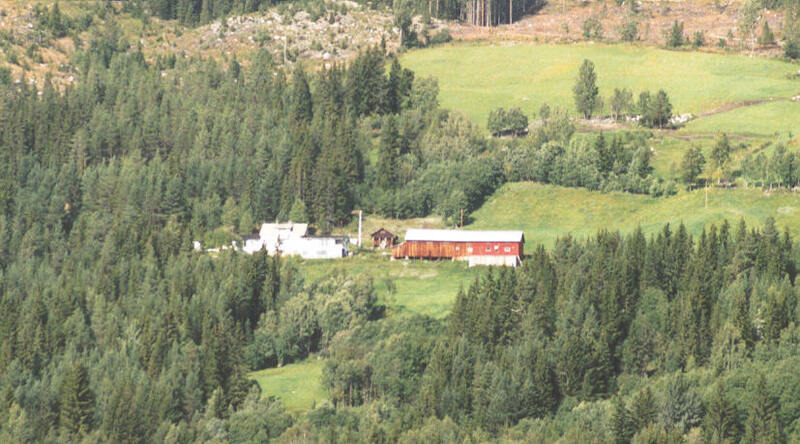 The got married in 1865 and settled on a smal farm called Sønstegård Lien. They got a daughter Barbro in 1865. The income and life on this farm was very hard and after listening to many of Ingeborg's family members that left Tunhovd and went to America the whole family left for America in 1871. They came to Belvidere Twp., Goodhue County in Minnesota where Hans worked as a millworker. They got 2 more children there: Jorgine (Jennie) and Louis. In 1879 they bought a farm in Trenton Twp., Pierce County in Wisconsin and went there for the rest of their life. Margit Larsdatter Mulleplass was born on 17th of September 1831 in the Bakken farm . She live on the Mulleplass place all her life. Her last years she spen at the old home in Nesbyen. Margit got one child that lived together with her mother. Lars Larsen Mulleplass was born 28th of September 1836 on the Bakken farm. This was a cottager place under the farm Arnegård by this time. Below the story continue about Lars and his family. Kristen Larsen Mulleplass was born 25th of March 1839 on the Bakken farm. He married Ingebjørg Kristensdatter Kastet from Gol parish. They lived all their life in Kastet and got 8 children. Lars married 30th of April 1863 in Nes church with Kari Nubsdatter Grimsgårdeie. Kari was born 5 of August 1839. They are the father and mother of the Larsen - Dokken family. Kari was born and raised in Dokken farm and Lars lived just a little higher aabove Dokken in Ellingbråten. The first two children they got before the marriage. Not very often it happened that a couple got 2 children before they married. I have a feeling that the life was hard and they looked for a way to get married. They both lived separately till 1863. In 1874 they bought the farm Dokken - or they bought it from Kari's parents. Lars Larsen Dokken was born in Dokken as the first son 29th of May 1859. Baptized 13th of June 1859 in Nes church. The confirmation took place 7th of June 1876. In the census in 1875 he was not living at home but was working as a farmworker on Jørgenmoen farm in Nes. On 13th of May 1878 he was registrated in the church book in Nes parish as emigrant to Christiania (Oslo). I have been looking through the emigration protocol in Christiania by this time a lot. There is no sign of Lars this year or after going to America. But I did find one record showing a person - same age going to America. This Lars was going from Christiania with the steamer Hero on 16th of May 1879 - destination was Moorhead, MN. This is the closest I have come to follow Lars out of Norway. As of today I know much more about Lars. I have come in contact with Vi Kaetterhenry in Menominee, Michigan where Thorwald moved to in 1950's she is the daughter of Lars first son Thorwald. Lars went to Milwaukee and stayed there all his life. He got married in Milwaukee 5th of September 1891 to Henrietta Christine Jacobsen also from Norway. They got 5 sons: Thorwald born 22nd of June 1894, Alfred born 7th of December 1898, Elmer born 13th of January 1900, Lewis born 1903 and William born later. I have no data of him. Lars died 21st of October 1918 in Milwaukee, Wisconsin. Any further help on Lars family will be much appreciated. She was born 10th of June 1862 in Ellingbråten. It is tol that Barbro was the first child baptized in the new in Nes parish (Nesbyen). She married first time to Knut Olsen Velta. They lived close to the bridge over the river Hallingdalselven in Nes centrum. They had 4 children. I do have contact with one of the relative to these children. A fter Knut's death she remarried Ivar Ivarson Asgrimsplass from Ål in Hallingdal. He was also a widower. He and his family was living in Tunhovd. 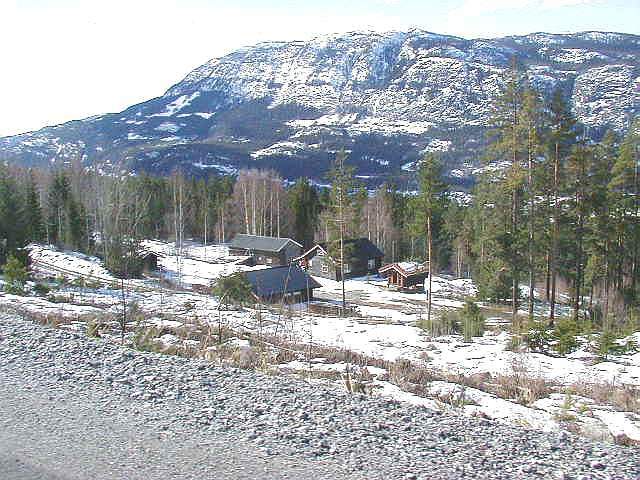 Just before his wife died he had bought the farm Kollhus in Rukkedalen. Ivar and Barbro is the parents of the big family Kollhus. They got 6 children: Knut (b.1897) married to Marie Ingebretsdatter Holm, Margit (b.1898), Laura (b.19 November 1900), Barbo (b. 30 May 1903), Lars (b. 24 July 1904) and Kristian (b. 24 April 1908). Knut and Marie got 7 children - Olav who is the owner of the farm today was one of them. Knud Larsen Dokken was born in Ellingbråten 26th of May 1866. Baptized 1st of July 1866 in Nes church. Godfathers: Thomas Thomassen Thoengen, Kari Eriksdatter Thoengen, Halvor Knudsen Braaten, Kristen Larsen (uncle)and Margit Larsdatter Bakken (aunt). 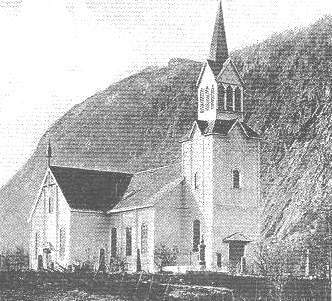 Knud was confirmated 1st of May 1881 in Nes church. Then nothing more is recorded in Nes parish about Knud. Record nr. : 677 - 21.3.1883 - Knud Larsen - Worker 17 years - Nes in Hallingdal - Company Krantz - Destination Milwaukee - On the steamer ANGELO - departure 23.3 - 1883 - Ticket paid for. The trip is suppose to go to England and then to America. I really don't know anything from USA except of a small hope of something like Meninomee. But I am not sure about the county or the city(MI. )But now I know from Vi Kaetterhenry in Meninomee that her father talked very much about Knud. I need to follow this line more later. I believe he and Lars had close contact in Milwaukee where they lived. Knud died before 1925 when the mother Kari died. From the probate court in Nes it says that the 4 children they tried to contact them. The only written is that Lars and Knud was both dead. They was both married in USA. Then it was written that Knud was supposed to leave one girl behind him - KARI. This was all the family knew about Lars and Knud. Thora Larsdatter Dokken was born 19th of February 1874 in Ellingbråten. In this time the family had bought the farm Dokken and was building houses on the new place. She was baptized 15th of March in Nes church. Godfathers was: Ole Nilsen, Randvei Larsdatter, Sigri Olsdatter Thodok, Kari Syversdatter Spankop og Ole Ellingbråten. Further information from the church record. Father 38 years and mother 37 years and married in 1864. In the 1900 census Thora is still living at home and she is working with seamstress. Hans Larsen Dokken was born 16th of April 1877 in Dokken farm. Baptized in Nes church 21st of May 1877. Witness was: Thor Helgesen Brattested, Knud Ellefsen, Ellef Knudsen, Birgit Jonsdatter and Sunnøf Nilsedatter Bottofsletten. The parents is at the age of 48 and 50 year.And as married 15 years ago (1862). Hans married a widow Birgit Levorsdatter Hytta in Nes and they got two sons while they stayed in Norway. They left for America in 1911 and went to Hatton to Hans brother Thorvald. Together they left for Canada in 1912 and settled around Regina. We have today family in North Dakota and Saskatchewan. Family names as Hagen from Ål and Bråten here in Nes are also related. Thorvald Larsen Dokken was born 23rd April 1881 in Dokken. Baptized in Nes churc 15th of May 1881. Witness was: Nils Nilsen Kastet, Kristi Olsdatter Dokken, Knud Olsen Vollen, Ellef Knudsen Bottolfsletten and Barbo Knudsdatter Østløkken. In the Census of 1900 is Thorvald a farmworker on the farm Tollefsgård. But that was not Thorvald's future. In 1902 he desided to leave for America where he had two other brothers. Nicolai Larsen Dokken was born in Dokken as the last of the family on 21st of November 1883. Baptized in Nes Church 1st of January 1884. Witness was: Helge Helgesen Stupa, Anne Johnsdatter Stupa, Lars Helgesen Brattested, Ellef Knudsen Bottolfsletten and Ambjør Knudsdatter Bottolfsletten. The Census of 1900 say he worked as farmworker on the farm Majormoen, he lived at home in Dokken. About grandfather you can tell a lot. But the humor and the glimpse in the eye he was famous for. He was married the first time to Anne Bergo (f. ). They got 2 children. At the last birth Anne died and grandfather had to find himself another woman to take care about the small ones. Then in 1919 he remarreid to the young girl Marie Fluto. Grandmother was from the big family Fluto in Liodden and here family you can trace back to Vassfaret what is known for it's wilderness today. They got 10 children. 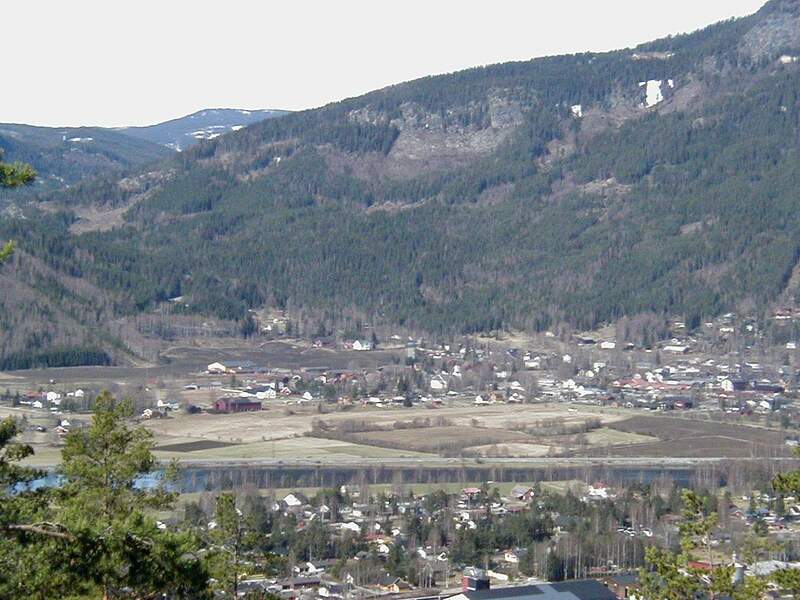 A view of Nesbyen from above Dokken farm as it is today in 2001. The big factory is one the neighbor field of the Dokken farm It is nothing left except of the buildings on the farm today. 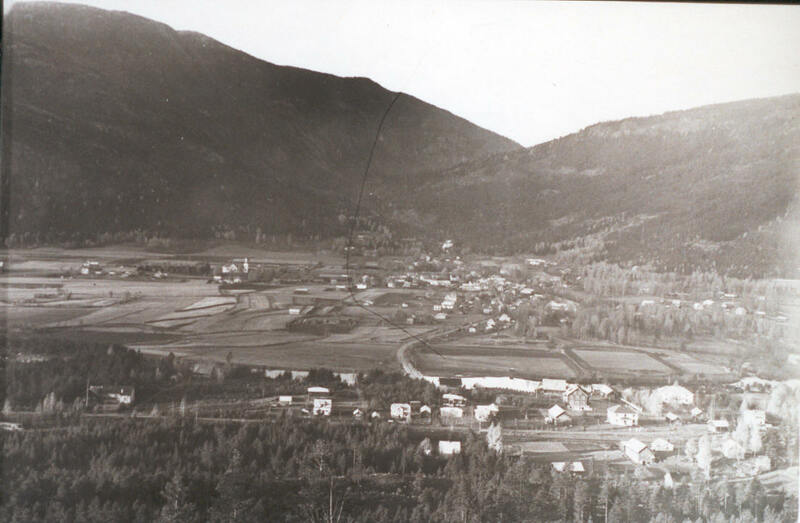 I have enclosed another one taken around 1910 and the picture is take from above the Velta farm that Barbro lived on in her first marriage. T he churc is up left and the new bridge build when the railroad came is in the front. The old home can be seen to the left of Østenfor Hotel that is on this side of the bridge. 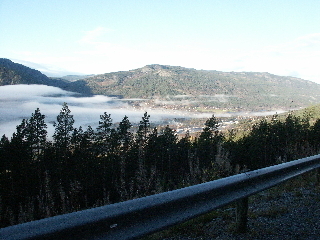 A view from Nesbyen 27th. of October 2001. Flere kommer - More to come This page is not ready. The project will be put on ice for a whil till the pages contain what I think will be nessesary to make it as good as possible. Update will occour without notification.